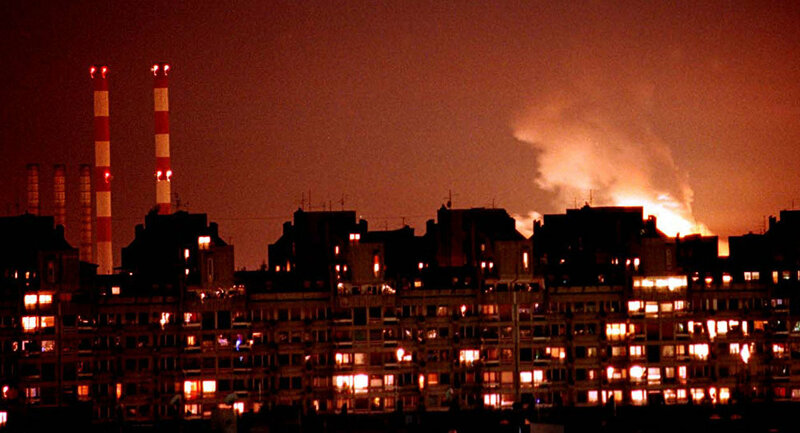 In Serbia, during the NATO bombings of 1999 the allied forces used ammunition with depleted uranium. Nearly 20 years on, on Monday, the head of the “Depleted Uranium” association Sveto Nogo said that cancer patients who believe their illness was caused by the uranium remnants will file charges against NATO member states either in September or in October. The statement was made at a two-day conference on the consequences of NATO bombing with the depleted uranium enriched ammunition, with 30 local and international legal, medical technical, atomic physic and ecology experts attending it. The event was held in the southern city of Nis. It was clarified that the lawsuits would be filed individually or by the family members of those who developed cancer they believed was caused by the bombing. “Nogo told the Conference on the consequences of NATO bombing with the depleted uranium enriched ammunition held in the southern city of Nis, that the lawsuits would be filed individually or by the family members of those who developed cancer they believed was caused by the bombing”, rs.n1info.com reports. “We will sue NATO member states for both material and immaterial damages. We will start with charges against five countries”, the Nogo president said, adding that “The number of cancer patients is on the rise, and even children are born with cancer. We do not recognise ‘vis major’, and as intellectuals, we are not going to keep our mouth shut”, he said categorically. According to a report on the subject by BIRN, in May 2018, there are medical experts who voice their scepticism by saying that there is no recorded cancer rise in the country nor could depleted uranium effects be blamed for the illness people develop as there is no actual connection between the two. “Every year we use phosphate fertilisers with more uranium than what was dropped in 1999 [by NATO]”, epidemiologist Zoran Radovanovic, chairman of the ethics committee of the Serbian Medical Association had then said. The specialist openly spoke of the public that is “continually being frightened with a non-existing cancer epidemic”, stressing that there has been no increase in the number of cancer cases. On the same side, we also find nuclear physicist Istvan Bikit who spoke to the regional TV channel N1 noting that thorough checks must focus on those areas where depleted uranium ammunition was used – namely Kosovo and southern Serbia. “It’s very hard to make a connection [between depleted uranium and cancer] because the harmful effect depends on how long you were exposed, where the projectile hit, was there evaporation and how much”, the scientist said. And here fits the other opinion, that of former chief surgeon at the Institute for Oncology and Radiology, Momcilo Inic who insisted that he has noted an increase in cancer case since the 1999 NATO bombing.